Dr. Kelly-Anne Shedd-Hartman (aka Dr. KASH) is a vConfidence approved physician who joined Swor Women’s Care in 2014 and provides complete, holistic obstetrical care as well as gynecology services. Dr. KASH is a strong proponent of nutritional education, exercise, and natural healthcare. Her philosophy is centered on a holistic approach to women's health, which is consistent with her choice of becoming an Osteopathic physician. Dr. KASH’s patients uniformly describe her as pleasant, warm, cheerful, friendly, approachable, and personable, a physician who uniquely spends a lot of time with you and will answer all of your questions in a very thorough and professional manner. Originally from Boulder, Colorado, Dr. KASH grew up on an organic produce farm, before attending Colorado State University, where she earned a Bachelor of Science in Biology, and a minor in Human Anatomy and Neuroscience. Dr. KASH completed medical school locally, at Lake Erie College of Osteopathic Medicine in Bradenton, FL., where she earned her D.O. degree in 2009. After finishing medical school, she completed four years of OB/GYN residency and surgical training at St. Vincent Mercy Medical Center in Toledo, Ohio. Dr. KASH's philosophy is centered on a holistic approach to women's health, which is consistent with her choice of becoming an Osteopathic physician. 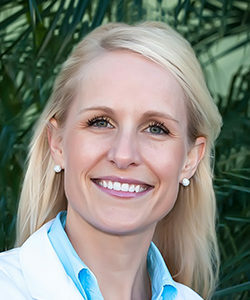 Dr. KASH holds a special interest in prenatal health, and education on improving neonatal/infant safety, and is considered by many as the number one OBGYN in Sarasota. Above all Dr. KASH is committed to empowering her patients to enjoy their feminine quality of life to the optimal degree, so contact us today to learn how the vConfidence difference can help you to enjoy excellent feminine health for life.